An old typewriter font has been used for this set of stamps for family birthday and Christmas cards, 'Dad' 'Mum' 'Daughter' 'Sister' 'Son' 'Brother' '-in-law' and '&'. Stamped area: .7cm high. 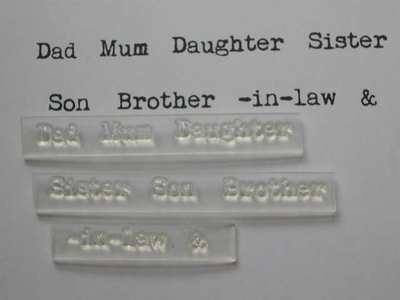 'Daughter' stamp is 2.9cm long. Snip stamps apart with scissors. 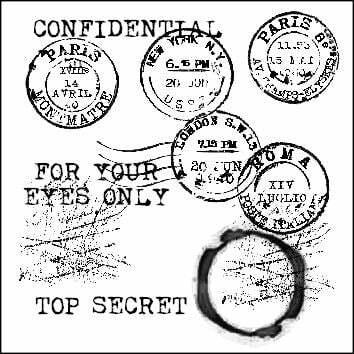 See how to use an acrylic block to use these stamps.Goes well with the 'To a very special' typewriter stamp.